Sherri, a friend of a friend of mine, lives in Japan and has volunteered for four years with ARK (Animal Refuge Kansai). Sherri reports that while her community has largely been spared fatalities due to the earthquake and tsunami, she’s only about a six hour drive from major devastation. 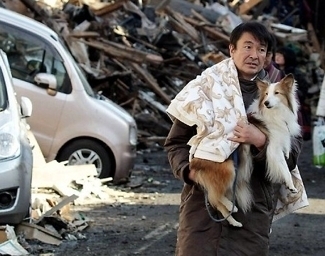 Animal welfare is virtually non-existent in Japan, according to Sherri, so the efforts of individual rescue groups and shelters make all the difference for animals in times of national catastrophes. I encourage you to check out the ARK website and help if you can.